ADCC Full Voting Members must meet two key requirements. They must have been in business at least three years and must produce a minimum of eight competition events each year. To join The ADCC as a Full Voting Member, please fill out the application below, then click “Pay Online” to pay your membership dues online with credit card. If you are using an iPhone, we’ve been having a few technical issues with our online forms. Please click HERE to complete the membership Form. If you prefer, mail your check to the address below. 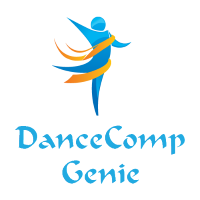 Please make your check payable to Association of Dance Conventions & Competitions.